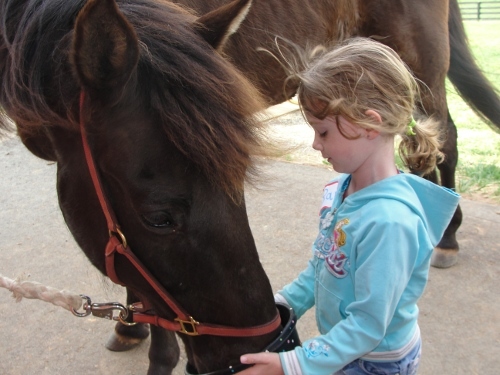 Hoofs for Hospice” is a program that incorporates the use of horses to help facilitate the grieving process for children and teenagers who have experienced the death of a loved one. Hospice bereavement counselors, certified instructors, trained volunteers and horses combine to assist individuals with the healing process and help promote healthy coping skills. As a counselor for Palliative CareCenter & Hospice of Catawba Valley, I see many children who have lost a mom, a dad, a grandparent, a sibling, or a loved one. The pain is immeasurable, the grief journey long. There are usually no shortcuts as individuals try to cope with their loss. However, healing is possible, and there are many paths. 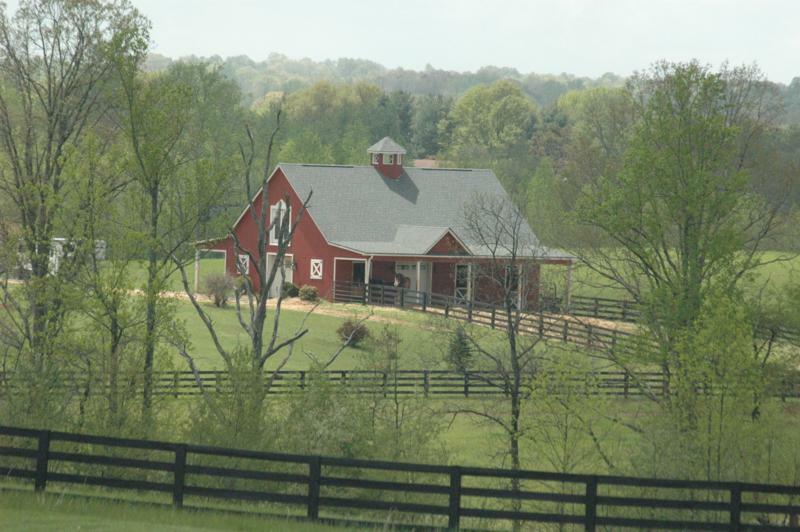 One such pathway of hope leads down a country road to Rising Hope Farm in Claremont, N.C. Gail Wartner, owner, greets her visitors with a smile, a loving heart, and a ministry of a different sort. Her supportive husband and her capable and caring volunteers of all ages help to make it all come together. Gail has a passion for horses, for helping people through challenges, and for serving her community. 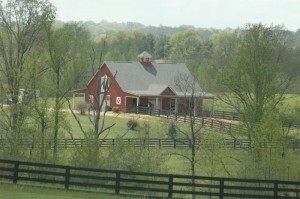 Rising Hope Farm opened in 2007, focusing on serving special needs children. As the kids are introduced to Heaven, Balaam, Prophet, Shadow, and Abraham, they are allowed to brush them, feed them, ride them, and interact with their new companions. The children gain confidence as they become familiar with the animals, and a bond begins to form. Inspired by what she witnessed with these special children, she decided to contact Palliative CareCenter & Hospice of Catawba Valley. She invited the children of the families of Hospice, and even adults, to come and experience the healing opportunities her horses could provide. 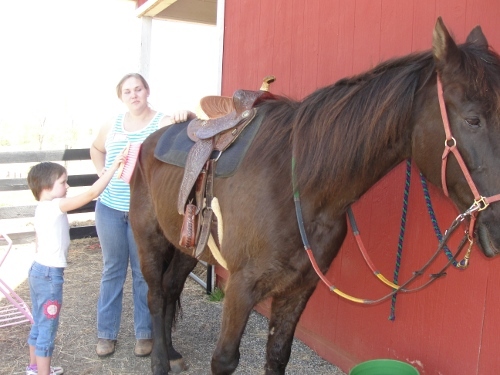 The use of hippotherapy, or therapeutic riding, is utilized in many areas of the country, and it can yield very positive results. The week after Easter, children who had recently lost a loved one had the opportunity to explore Rising Hope Farm for the first time. The experience of each child was almost magical. Children who had lost so much had the privilege to enjoy the gentle horses, the rolling hills of the land, the serene pond, and the healing power of nature. Most had never been on a horse, and they reveled in the opportunity to learn about feeding, brushing, riding, and caring for the animals. Some children hesitated at first, but they gained confidence as they grew into the experience. Talking to the horses about their pain is not uncommon. Others simply wish to be among the graceful animals. One child sang a song she had created about her deceased father as she rode under a beautiful blue sky. Still others found a place where they could feel safe, experience excitement, and know that life still offered opportunities for them to enjoy again. The smiles, the laughter, and the pleas to come back spoke volumes. The horses never said a thing, but they surely were good listeners. They just seemed to know what Rising Hope and healing could mean to a child.